Yesterday, as I was walking out the door my eyes captures the sight of a rose. 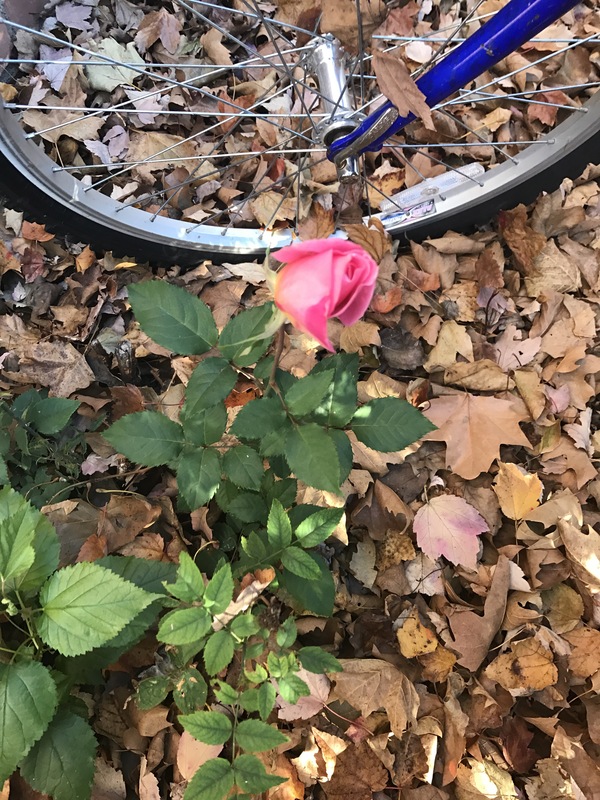 I’ve walked passed this spot daily and never noticed a rose growing or getting ready to bloom. As everything around it is dying it’s still growing. I don’t know why but seeing that rose made me feel good about myself and life. Inspired to do more and be more despite the mess that is around me. Check it out! What do you make from the picture? What does it speaks to you?